On weekends, cafes are often frequented by young men and women on blind dates. With a cup of tea or coffee in front of them, they wonder if the person sitting across the table might be that perfect match. 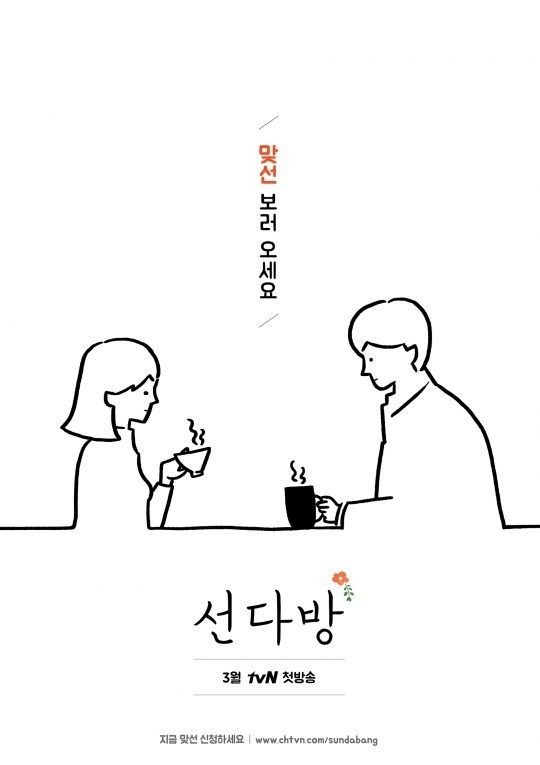 A special cafe that caters to such customers is now open in Seoul; special, not for its menu, but for its guests -- only people who have reserved a blind date can visit the cafe. TvN’s new variety show “Cafe Amor” is to feature a special cafe for blind dates. The cast -- actress Yoo In-na, singer Lee Juck, comedian Yang Se-hyung and SF9’s Rowoon -- will staff the cafe as the servers. The cafe, temporarily operated by the production team, is situated in trendy Samcheong-dong, Seoul. The location was strategically chosen to put butterflies in participants’ stomachs with hopes of romance. “I am 38 and I am not married yet. 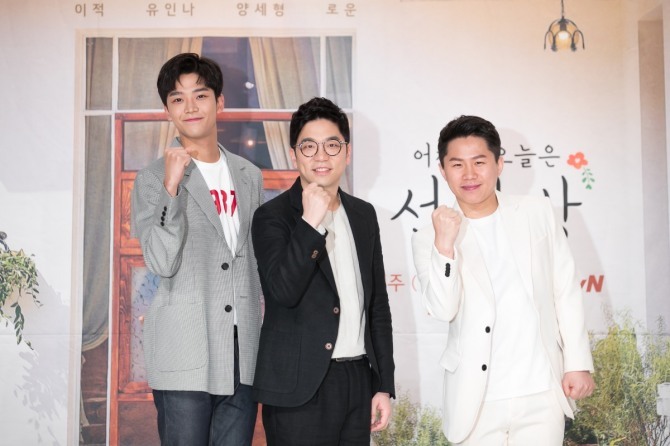 Dating is a topic that I am very concerned about lately,” producer Choi Sung-yoon said at a press conference in Seoul, Tuesday. The production team received applications from ordinary men and women throughout Korea via the network’s website. Matching participants by their ideal types, the production team set up blind dates at the cafe where the cast is to serve coffee and dessert to participants. Amid a flood of reality dating TV shows, the producer is sure “Cafe Amor” can differentiate itself from the others. He often wondered why dating programs featured only nice looking people with enviable careers. The show won’t push participants to couple. “When we set up blind dates for friends, we only ask if it went well. It’s the same for the show. We don’t ask them if they are going to date or marry each other.” If a couple is a match, they can return to the cafe again for free. “In the face of the topic of love, everyone forgets about the cameras. At first, participants can feel uncomfortable. But after five minutes, they forget all about the presence of the cameras,” Choi said. “Cafe Amor,” with the subtitle “Your Date Has Been Served,” is to start aring on Sundays at 10:30 p.m. on tvN.